We just wanted to let you know that we’ve opened the shop for a few days to clear out some inventory (we made some buildings for a convention that we wound up canceling), so some pieces are ready to ship. The goal is to raise some money to move the inventory at hand so we can buy some more rubber to cast some new molds. "Our plan is to duplicate the existing molds and ship them to Murphy so he and I can share the workload and, thus get more buildings out there. Plus, if he’s filling orders then I can focus on getting new stuff ready. 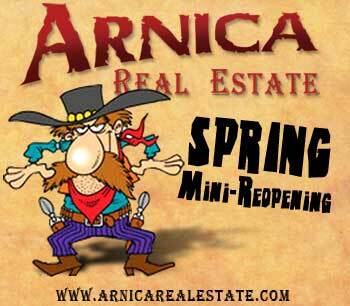 This process is long overdue," said Arnica Real Estate co-owner Mike Mitchell. The shop is open right now to accept orders. Every available item has a “Add to Cart” button in front of it. "We will accept orders through the weekend, and probably a few days into next week," Mitchell said. "We don't have a specifc closing time in mind right now. We want to give people a chance to place orders and get some buildings, but at the same time we don't want to take so many orders that we're overwhelmed." So, if there's something you've been wanting to add to your collection, now is a great time to do it! To find out what's available, and for sale status, please visit www.arnicarealestate.com.